Auditing Your Existing Packaging Process Can Uncover the Need to Upgrade! Whether you are in the chemical and petroleum, cosmetic and personal product, food and beverage, or any industry that utilizes bulk packaging, there should come a time when you will want to review how those products are being stored, delivered, and utilized. Why fix something that may not appear to be broken? Because new packaging options may ultimately save you money, prevent spoilage or spillage, and be more appealing to your customers. New packaging may make your products less expensive to ship and store. There may be regulatory compliance issues that modern packaging options can help you reach. Perhaps the biggest reason to occasionally review your product packaging options is to simply see what new choices are available. There are specific aspects you should consider when thinking about new packaging options. Here's what you need to know before upgrading your bulk packaging. At CDF Corporation, we can create a solution as long as we know the problem. Frequent pain points we hear about include residual product being left in a container, leading to wasted time and money being spent to clean bulk containers. We also hear about packaging solutions that simply collapse in their container or that containers aren't stackable or take up too much space in their warehouse. Many customers have audited their current packaging and have identified what issues are slowing down or interrupting their process. Identifying problems is often the first step in achieving better solutions. Knowing the requirements and obstacles you face and the options available will inform you and us—and help us discover the best packaging solution. For a more in-depth discussion, read our recent blog dedicated to this subject. While new packaging can help ease pain points and resolve problems, it can also lead to opportunities. It can increase efficiency and minimize storage and shipping costs. It may better maintain the quality of the contents or improve portability and usability. Modern bulk packaging can even help brand your company as one that is forward-thinking and innovative. Be proactive in looking for the benefits of newer, better modern bulk packaging options. The first step towards creating this opportunity is to understand the obstacles your current bulk packaging systems may be presenting for you. An audit of your current packaging practices will help you identify exactly which issues are slowing down, interrupting, or compromising your packaging procedures. This will help you navigate your way to a new, upgraded packaging process. The single most important aspect in upgrading your bulk packaging will likely be the supplier you choose to partner with. Do they fully understand your needs and issues? Are they knowledgeable in paints and coatings, foods, lubes and grease, and the products you are dealing with? What does the new supplier offer? While certainly, the price of the new packaging is a factor, you should also carefully consider the quality management systems the supplier has in place. Look to partner with a supplier that will assist with introducing the new packaging into your process and provides ongoing support. At CDF, we view ourselves as an extension of the companies of which we serve, creating solutions that add value. We are a family-owned, global business that provides packaging solutions ranging in sizes from 2 ounces to 330 gallons. There are more innovative bulk packaging options available than ever, and CDF Corporation is proud to be a leader in many of these new choices. We even have a bag-in-box flexible packaging option that is UN certified. 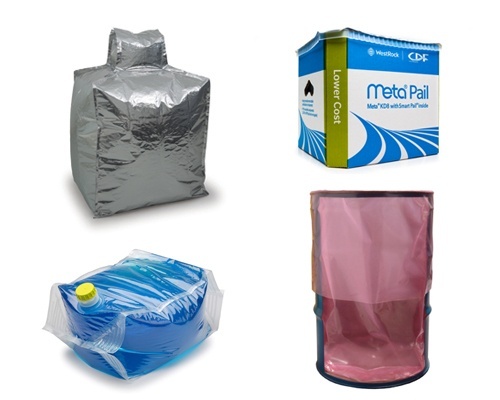 We provide steel and plastic drum liners, Pailsaver Trays and Liners, plastic drum lids, a variety of flexible plastic, and bag-in-box packaging products. Contact us to discuss your problems, requirements, opportunities and how CDF Corporation can help create the best bulk packaging solutions for you. Consider all the ways an upgrade in your packaging process will help you … then contact us and we’ll work with you to find the solution that’s perfect for you, your customers, and your products. Intermediate Bulk Container Versus Drum: Which Container Is Right for You?